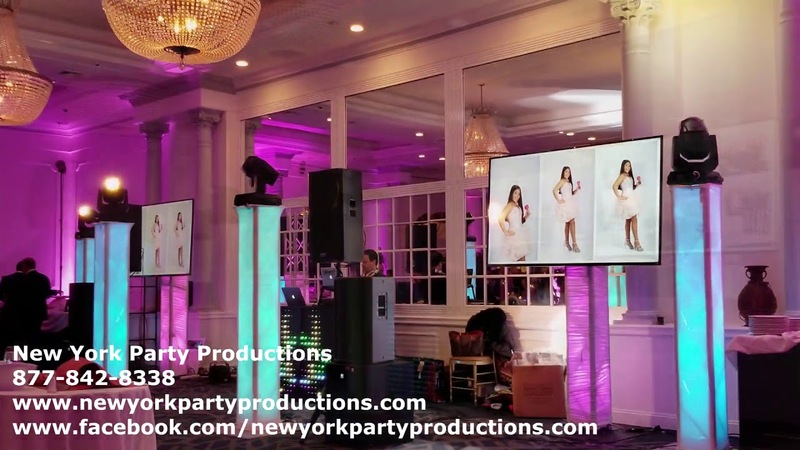 New York Party Productions is a full service event production and entertainment company specializing in Weddings, Bar/Bat Mitzvahs, Sweet 16's, and Corporate events. We specialize in DJ's, Extensive lighting shows, Several types of Photo Booths, Photography, Videography, Virtual Reality, Dance troops and event planning. We have provided services for such names as Julia Roberts, Jay Z and Beyonce, Cast of the Soprano's, The Forbes Family, Disney, IBM and many others. 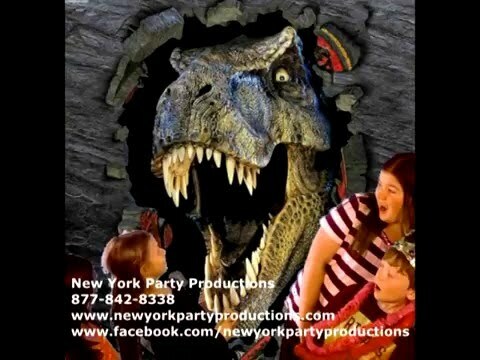 Visit our website www.NewYorkPartyProductions.com where you can see hundreds of videos showcasing not only all our products and services but also over 160 positive Customer VIDEO reviews, Evaluations and Recommendations. DJ was early and very helpful. Music was great and enjoyable. New York Party Productions strives to completely satisfy its customers from start to finish. Expect great communication from beginning to end as well as attention to detail. If you have a theme, we will create it using all the creativity and equipment/talent we posses. We want you to be completely satisfied because referrals from past customers make up a large part of our future bookings. We have many many customer video testimonials which you can see on our website, Facebook Page and Youtube. So don't just take our word for it, see and hear from our past customers directly. New York Party Productions was founded by Michael Cardamone and has produced events in the tri-state area for over 20 years. Starting out in Musical theater as a singer and Opera singer as well, Michael later started singing in Rock Bands and went to NYU to get a degree in Audio Engineering. Always into music, Micheal started DJing in the clubs during collage and soon moved to the mobile DJ market where many companies began to approach him to come DJ for their companies. A few years later New York Party Productions was founded with the goal to create great events with creative vision and execution. 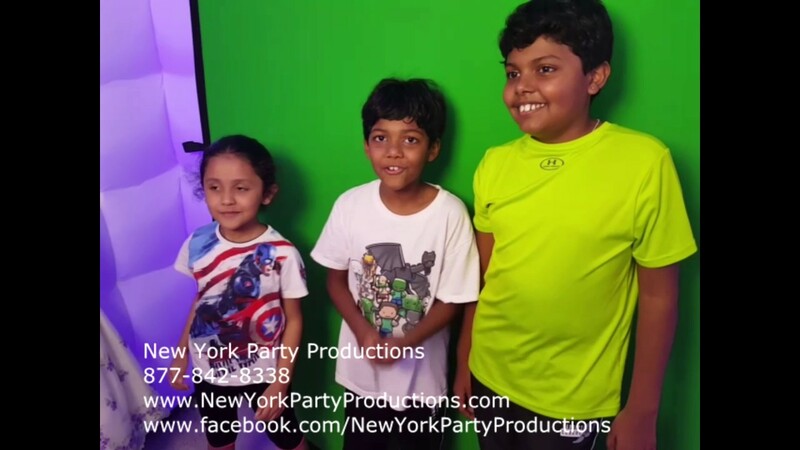 Services expanded and now New York Party Productions is a full service event production company with some of the best talent in the tri-state area. 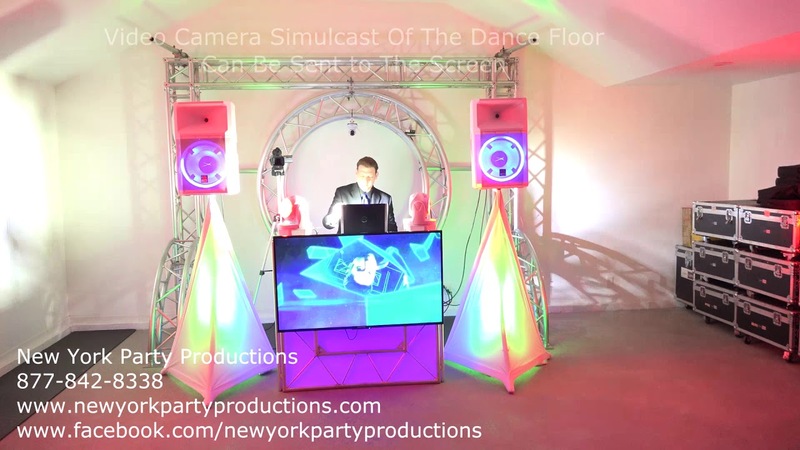 New York Party Productions own an entire warehouse of audio and video equipment as well as one of the largest inventory of lighting and lighting effects in New York. We don't just throw lights out on a job with simple built in shows and recycle those shows from customer to customer. No, we program each event individually matching colors, movement and placement to the customers vision. We make our own backgrounds for our Green Screen Photo Booths, so if for example, you are going to Africa for your honeymoon and want zebra and lions and hippoes for a background, we will create it.